Assets are binary files, typically images, videos, etc. 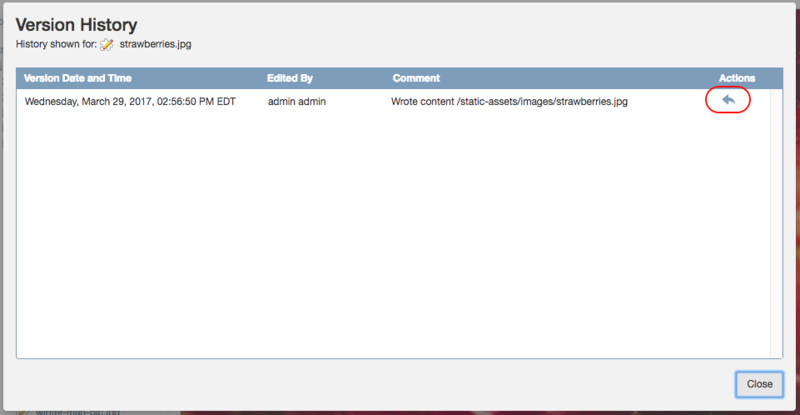 which can be uploaded directly by Authors from the site navigation tree to Crafter CMS. 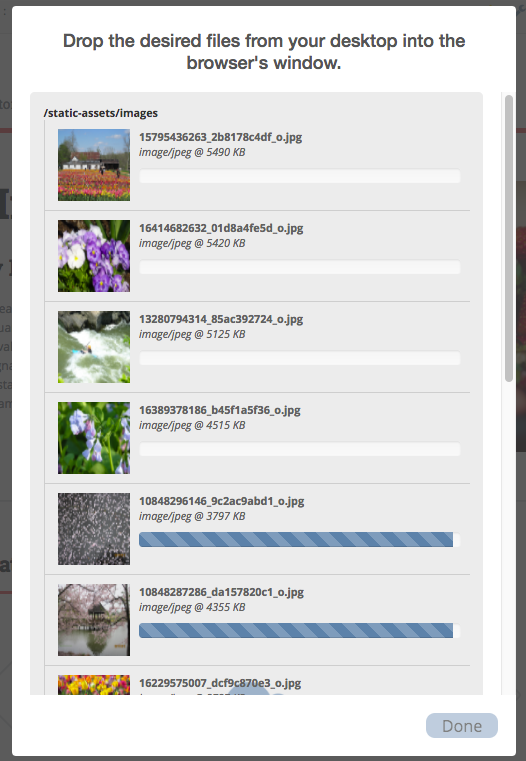 To upload a file (images, videos, etc. 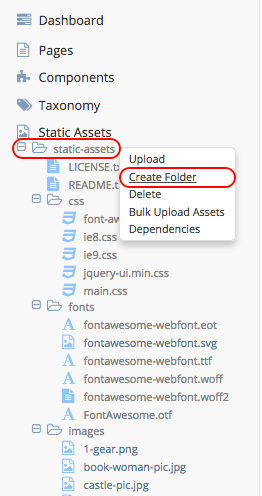 ), in the Site Content Panel click on Static Assets, then click again on the folder named static-assets. 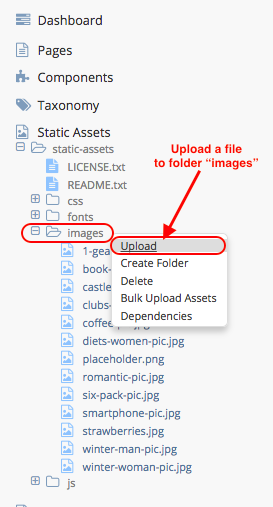 This will show you a list of folders containing assets already uploaded, such as images, fonts, etc. 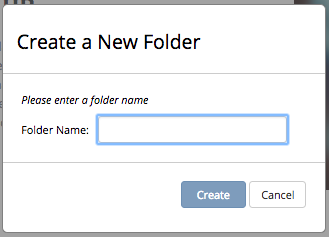 Enter a name for the new folder then click on the Create button. 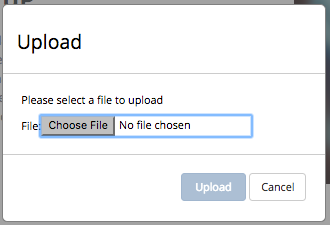 After clicking on delete, it will prompt you if you want to delete the listed files. 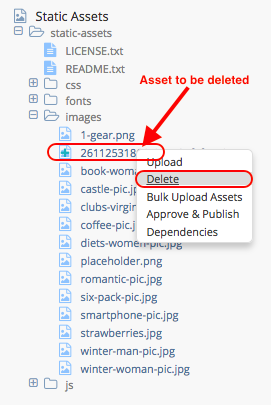 Click on the Delete button if you want to delete the listed files, or click on Cancel if you don’t want to delete the asset. 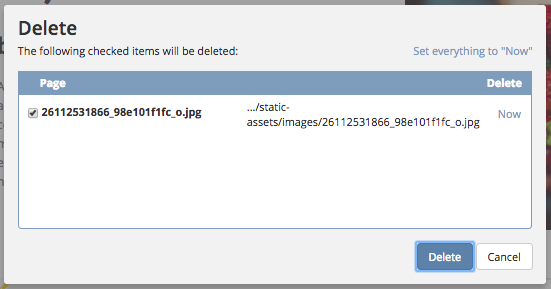 After clicking on the Delete button, another form will appear to inform you that the item/asset has been pushed for delete. All changes to static assets are tracked and can be reverted to an older version. 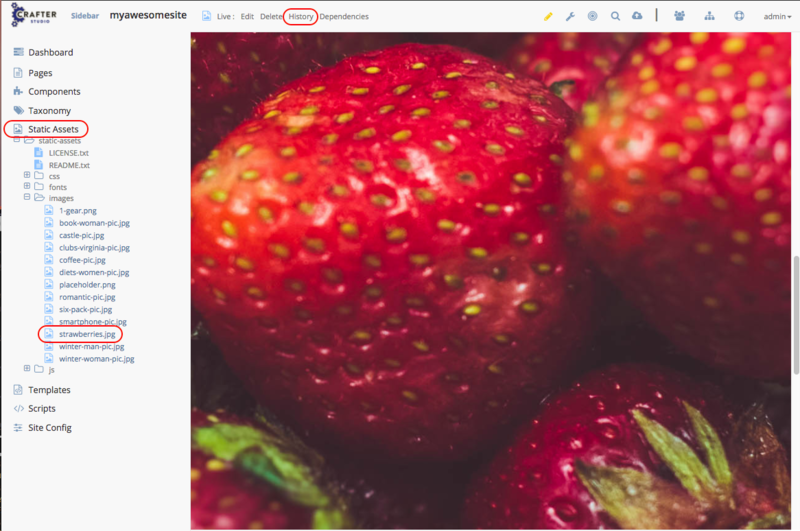 For static assets, like images, videos, etc., to access the History dialog, select the static asset that you want to view the history of from the site navigation tree, under the folder Static Assets, then click on the History menu of the context navigation menu at the top of your browser. Notice that for assets, you can only revert to the version selected.